A detailed plan to build Haikou Shishan Volcanic Cluster National Geopark into a National 5A Scenic Spot was approved by experts recently. 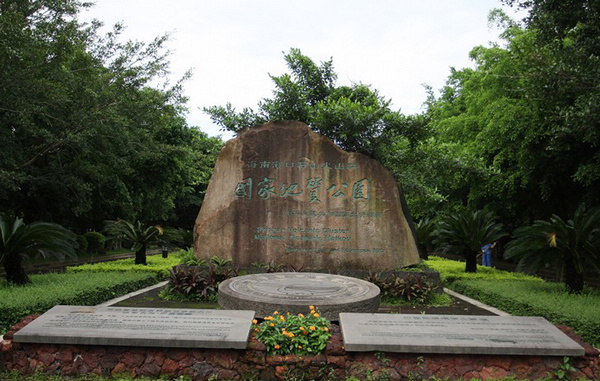 Haikou’s Shishan Volcanic Cluster National Geopark, located 15 kilometers from the city center, covers an area of 180 square kilometers. It consists of over 40 Quaternary volcanoes with a number of lava landscapes and 30 volcanic caves. The park has a volcano cultural garden, ecological garden, green corridor and the crater’s garden, attracting visitors from both home and abroad. Situated in the north-central area of the National Geological Park, the main part has a total planning area of 5.69 square kilometers and consists of a volcanic geological heritage protection center, tourism comprehensive service center, earthquake education & training center, folk custom & culture exhibition center and tourist facilities reserve area. Under the plan, the 3,272 villagers in the main part of the park will be settled down properly and the 7 local towns will be built into volcanic scenery towns.